From 1971 to 1980, millions followed the drama and spectacle of this lavishly-filmed television series: the glorious opening credits set to music from Khachaturian's Spartacus; the magnificent sight of tall ships under full sail and, of course, the trials and triumphs, loves and betrayals, adventures and disasters of James and the rest of the Onedin family. Already a seasoned seafarer at 28, James Onedin is determined to command his own..
From 1971 to 1980, millions followed the drama and spectacle of this lavishly-filmed television series following, the trials and triumphs, loves and betrayals, adventures and disasters of James, his family and others in the Onedin Line fleet and boardroom. Series Two heralds the end of the American Civil War and new opportunities for the shipping trade, but James faces troubles in his business and personal life. As struggling seamen pre..
From 1971 to 1980, millions followed the drama and spectacle of this lavishly-filmed television series following, the trials and triumphs, loves and betrayals, adventures and disasters of James, his family and others in the Onedin Line fleet and boardroom. James Onedin eyes new trading opportunities as his ships venture to Brazil, the Baltic and East Afica. 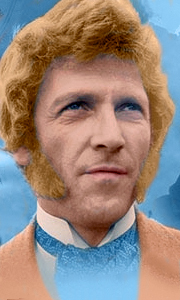 But he is not only battling Frazer and Forgarty; James must face the crusading S..
From 1971 to 1980, millions followed the drama and spectacle of this lavishly-filmed television series following the trials and triumphs, loves and betrayals, adventures and disasters of James, his family and others in the Onedin Line fleet and boardroom. Five years have passed and it is now 1875. Although the Age of Steam is coming fast, James is still investing in sail ships - does he know something others don't? The death of Albert F..